Patty Wysong has created a fun meme where once a week bloggers posted on the letter of the week. Check out the details here. It is called A2Z: Take 2. A2Z as she challenges bloggers to write a post each week going through the alphabet. Take 2 since this is the second time she has used this meme. Anyone can join in and you don’t have to always participate. 1. Write 40 notes of encouragement to 40 friends. I think I will do this one and hopefully most of them will be handwritten. There are several people though I only have their email address so will make some exceptions. As I write each one, I will also lift them up in prayer. 2. Take 40 verses from the Bible that mention heart and talk with God about them in my journal and on this blog – 40 written prayers. You won’t see most of them, but I will use a few on my Sunday post. 3. Don’t just read the Bible, “chew” on these Bible verses. The Better Part: A Christ Centered Resource for Personal Prayer by John Bartunek is a great resource to deepening your meditation of the Gospels. I will be using some of his ideas when I read those 40 verses. 4. Study a book during Lent. I have ordered Lent and Easter Wisdom from Henri Nouwen. He is one of my favorite writers so will walk with him this season. 5. Attend Ash Wednesday services in your church or visit a church that practices this tradition. 6. Choose someone from our Christian heritage to walk with during Lent. Read about their life. How did they grow closer to God? What, if anything, did they write? How did they pray? 7. Many people give up something or fast for a period of time during Lent. Sometimes they also donate the money they save from giving up a treat. Don’t just fast because you “should,” read about the true meaning of fasting. Pray first, then try this practice if you feel called to it. 8. The Common English Bible has a beautiful set of Bible verses for Ash Wednesday and every Sunday in Lent on PowerPoint slides. 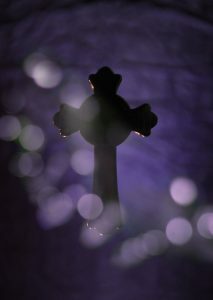 These wonderful photographs are available free on their site: Free Lenten Resources. 9. How about an online prayer adventure? Join the Jesuits with these daily prayers and reflections. The website: Ignatius Spirituality has numerous other resources to enrich your faith, no matter your faith tradition. 10. Mustard Seed Associates has a great Lenten Study Guide available free. 11. Have you discovered the wonderful resources available from Spirituality and Practice? They are offering two Lenten retreats this year: Exploring the Psalms and Living the Hours . There is a cost, but well worth it. Check them out. 12. You have heard of March Madness but do you know about Lent Madness? Honest. Read more about this idea and learn about specific people in our Christian history on the website Lent Madness. And yes there are brackets! 13. You can learn more about Ash Wednesday in two minutes by watching this video by Busted Halo. 14. The Practical Disciple last year listed wonderful resources for Lent. 15. Creighton University – another wonderful website has an entire page of resources for your Lenten journey, including daily prayers. The letter F this week stands for fifteen resources to deepen your journey through Lent. I know there are many more. We don’t have to be perfect, but these 40 days are a wonderful opportunity to spend time with God. What helps you prepared your heart for Lent?